As you guys know, I am more of a skincare person and I apply makeup occasionally. A lot of you wouldn’t even believe that I didn’t own a foundation till mid 2016. Ever since I entered the makeup world, Pond’s BB cream had been my go to because it is tinted, gives me a little coverage, provides my skin with necessary hydration and covers my blemishes. It was my savior whenever I needed to look blemishes/scars free but the only issue I found in it was the fact that it was a bit too oily for oily skin people out there. I literally craved for a BB cream which gave me a fine amount of coverage without harming my skin and at the same time, left a matte finish. 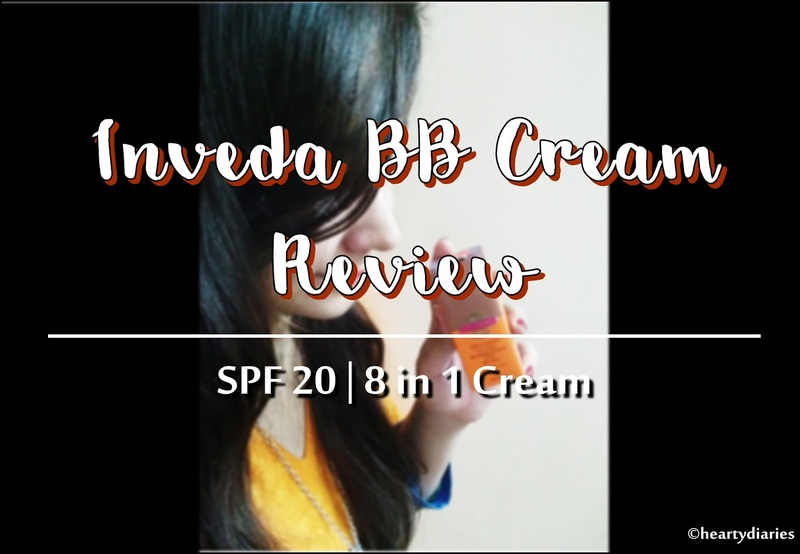 My wish seemed to be granted by GlamEgo Baba in August when I got a BB cream by Inveda, a purely Indian brand that offers cruelty free products having best and natural ingredients. *GlamEgo Baba: CHUCKLES*. Inveda infuses the age old wisdom from the Vedas with the therapeutic and regenerative qualities intrinsic in natural extracts. 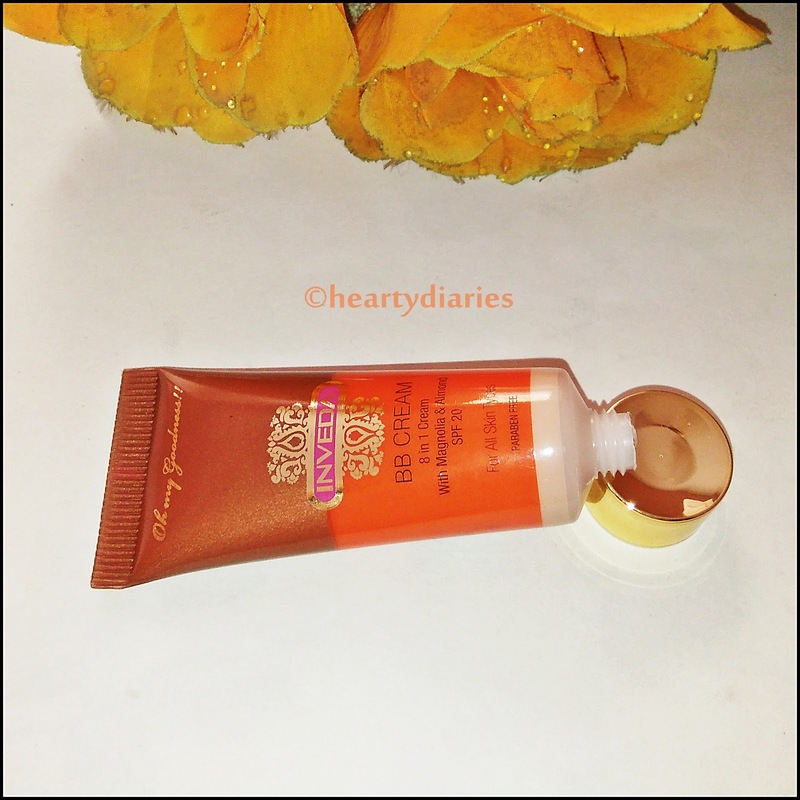 * I have also used the D tan scrub by Inveda that I received in my April’s GlamEgo box and I literally love it.. 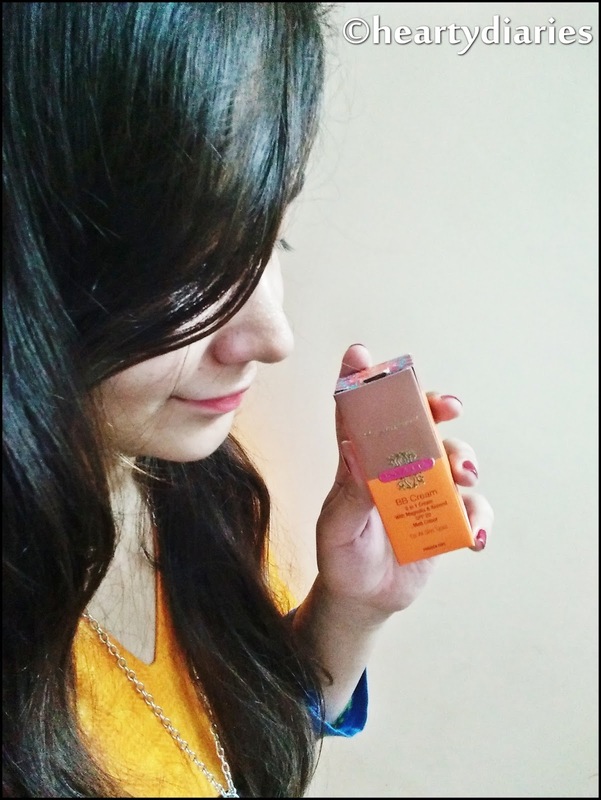 This BB cream comes in two shades: Fair and Matt, the latter being reviewed today. Please keep on reading this post till the end to find out my experience, opinion and final verdict about this product.. But before that, please take a minute out of your valuable life to write a “testimonial” or “comment” for me using your Facebook account here as I really need it to win The Indian Blogger Awards 2017.. Product Description: Blemish Balm Cream with Broad Spectrum SPF, Effectively covers blemish, wrinkles and fine lines. 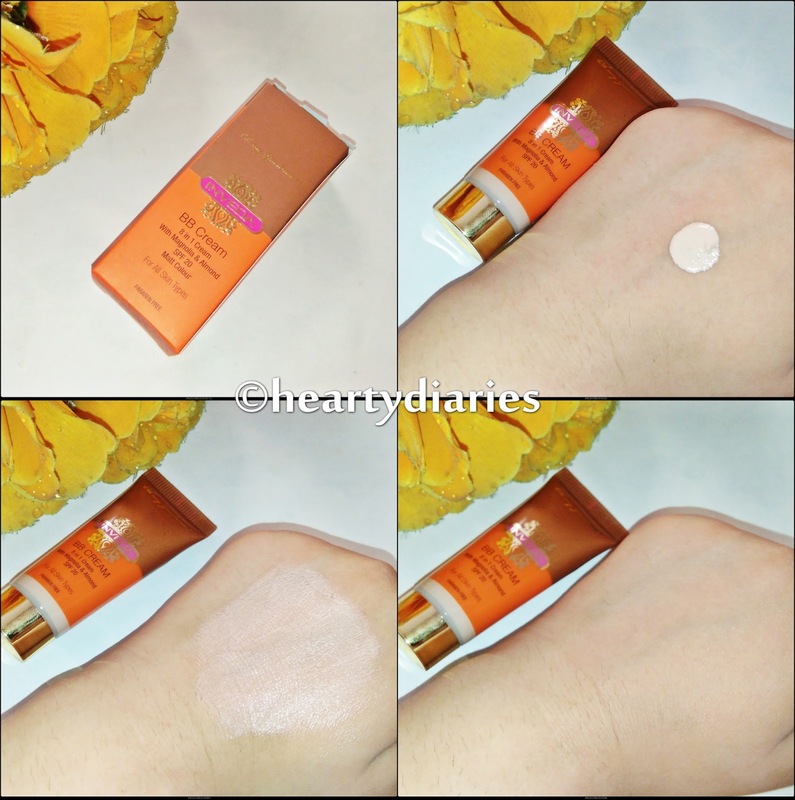 Protects from UVA and UVB rays, Hydrates and provides primer for makeup. Non greasy, leaves skin silky, even toned, young and bright. Packaging: I love Inveda’s packaging which has a royal hint to it. 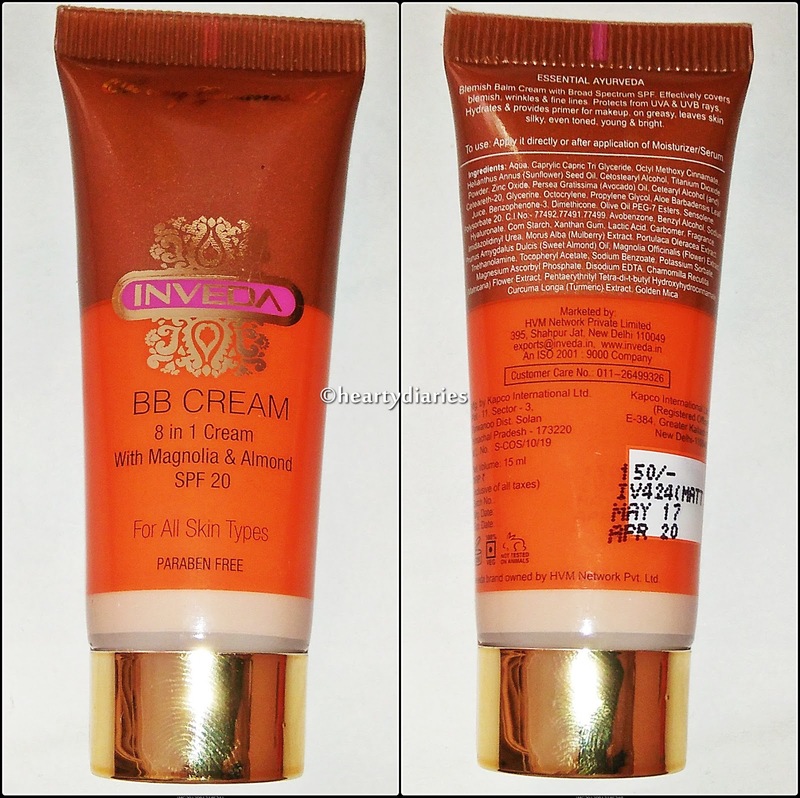 This BB cream comes in a brown and orange colored cardboard box with the same colored rubber tube and has a golden colored, plastic screw cap. The overall packaging is light weight, classic, travel friendly, spill proof and cute. Texture and Consistency: This BB cream is very slightly tinted; the texture is soft, smooth and definitely creamy but the consistency is quite on a runny side. My Experience: So many claims, beautiful packaging and a quality Ayurvedic brand like Inveda, the bars of my expectations were already set high as soon as I saw this product. I gently squeeze the tube to get a fine amount of product on my palm and dot it on my face using my fingers. This cream gets absorbed in to the skin easily and leaves a semi-matte finish behind which is a plus point for all oily skin girls out there. The finish is not extremely matte and you need to set it with powder but I don’t mind it because even if a product is matte, my oily skin wants an extra layer of powder to let it stay matte, otherwise you know 🙁 I feel it’ll be a bit drying for people who come from the dry skin family, but I think that’s not a really big issue. They can use a moisturiser underneath and they’re good to go. The finish issue can be easily sorted as oily skin people can make it more matte by a powder top coat and dry skin people can moisturise themselves beneath. Initially it leaves a whitecast which was horrifying for me the first time I used it but it disappears as soon as the cream is properly absorbed. It blends in to skin very easily. It doesn’t have a coverage you can rely upon as it is very sheer. The coverage is not even medium, it is extremely low and doesn’t cover any blemishes or scars. Forget about the pigmentation and dark circles. It is just like a tinted cream with tons of goodness! As this cream offers just two shades, Fair and Matt, it is a big turn off for me. They say that this cream will suit all skin tones but I really don’t agree. I highly wish they launch more and more shades in this range which can flatter all skin tones. 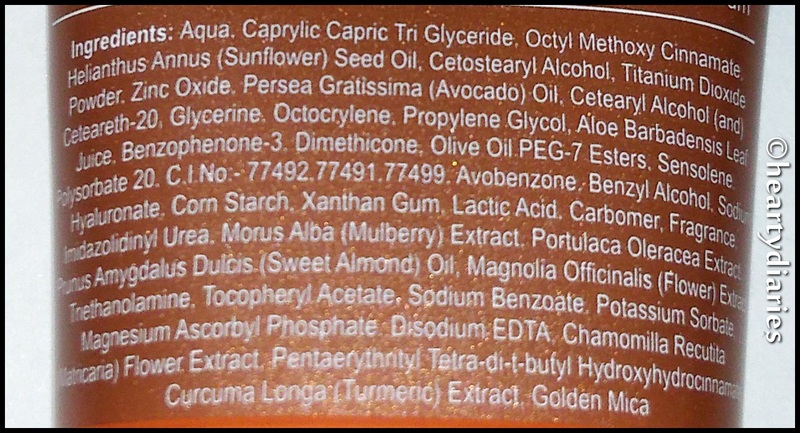 Coming to the staying power, it hardly stays for 2 hours as per my skin type and completely wears off in 3-3.5 hours. 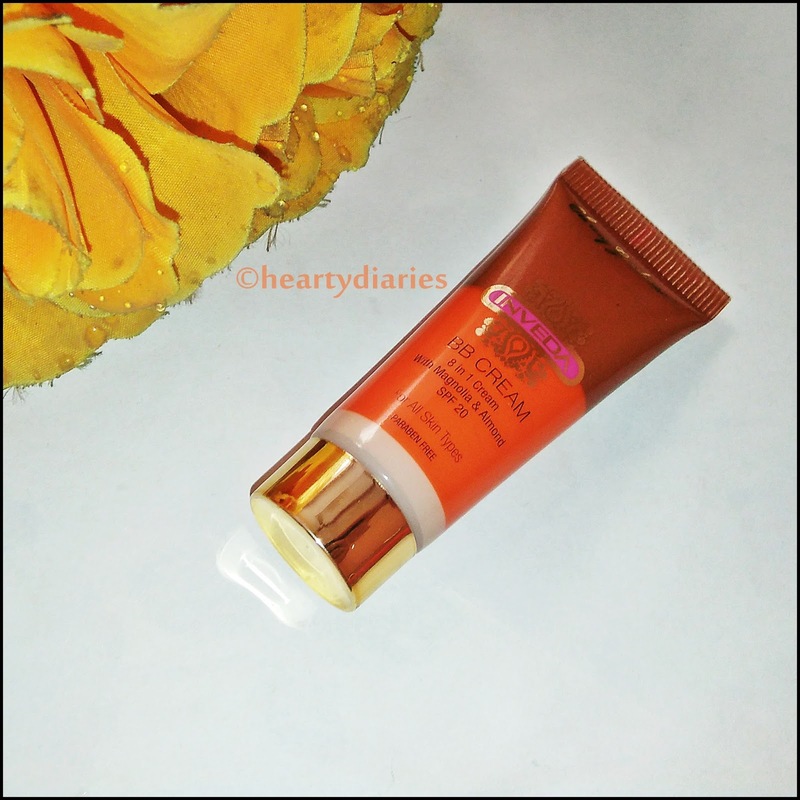 Its coverage is not something I will ever consider mentioning but I am happy that this cream has a tint to it along with SPF 20 which can be used on a daily basis if you are a “No Makeup-Makeup Look” person. Yes. Since my skin is very sensitive, I cannot go on and apply any makeup product directly on my skin. I love the fact this BB cream has such amazing qualities in it and did not harm my sensitive skin at all. The coverage factor is a negative point but I wish it gets improved in the next batch. Well, I will definitely repurchase it as it does not feel heavy at all and is great for daily use. Yes. This totally depends on you and your personal preferences if you like it and repurchase it but according to me, it is worth a try. Yes. Although the quantity offered is really less, the quality is simply superb and worth every single penny. Final Verdict: Overall, this BB cream is fine but it cannot compete with Pond’s BB cream. It has a low coverage but is enriched with all natural ingredients, is paraben free and has everything a skincare junkie would ever want. The quantity I wish was a little more or atleast there were greater quantity options available. I think definitely worth a try for sheer coverage. Inveda has some good products. I have used Inveda sunscreen and it was really good.